Friday night match results for 22nd June. The evening started with bright sunshine and a bit of a breeze. Conditions would change later in the match with the wind easing. 12 anglers fished tonight so 2 sections of 6. Section 1 was won by Don Lines on peg 19 with 48lb 10oz of mostly Carp caught on the tip. Second was the best partner anyone could wish for (my pairs partner unless he dumps me) John Williamson who caught again on the tip from peg 15 for 46lb 4oz. 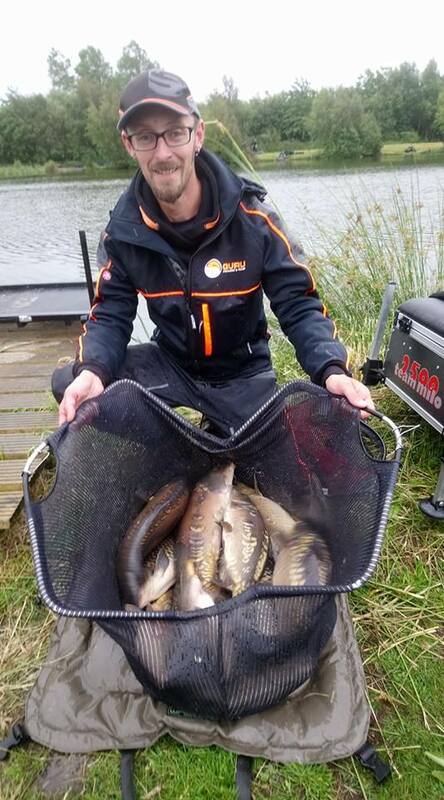 Section 2 was won by Nick Aldersley who fished long pole and corn for a mixed bag of 62lb 12oz. Second was Ian Whitson who fished the pole for a mixed bag for 51lb 10oz. Some really good weights tonight. Well done to all the section winners and runners up. Broom Series this Sunday. So Queensberry and Wallace’s will be closed to pleasure anglers. All other waters are open and with the weather forecast looking good well worth a day out.